After last week’s Nintendo Direct which was dedicated to the Pokemon franchise, expectations for another Pokemon announcement during this year’s E3 livestream were not high. However, Nintendo decided to surprise fans by confirming that a mainline Pokemon game would be coming to Nintendo Switch. 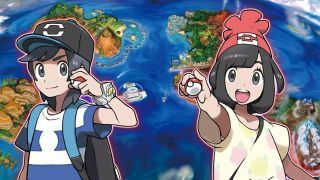 No other details were revealed other than it would be a core title and that its release was more than a year away so there’s a chance it may be different again from the upcoming 3DS titles Ultra Sun and Ultra Moon. This means that the Nintendo Switch is breaking the Nintendo home console curse, whereby only side titles, such as the already confirmed Pokken Tournament, were released while mainline titles stayed on handhelds. Rumors have been circulating for a number of months about the game, suggesting it might be released under the name Pokemon Stars. This announcement, then, is a great sign for Nintendo and the attitude of developers towards the Switch.